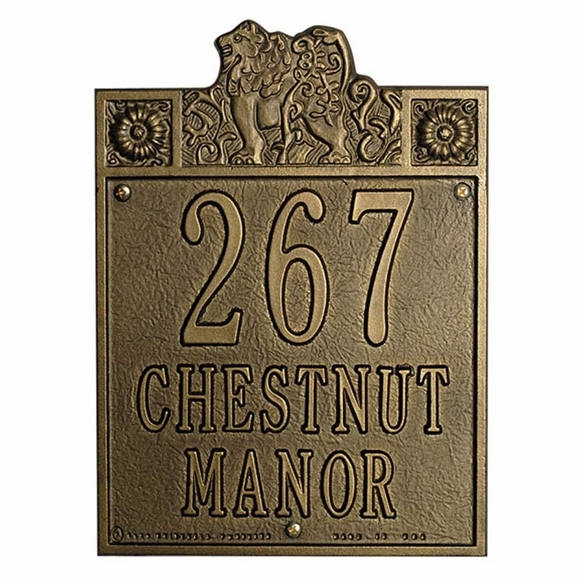 Personalized Sheffield Lion Address Plaque - - regal and grand address sign with a proud lion on patrol to guard your castle. Made in USA. Decorative upper panel contains the partially cut-out Sheffield lion and a rosette in each corner, all in raised relief. Wall plaque was well designed and manufactured and exceeded my expectations. Thank you.